There’s nothing like a beautiful green lawn to make your house look great. Now that spring is here, it’s time to get your lawn ready for its big debut. 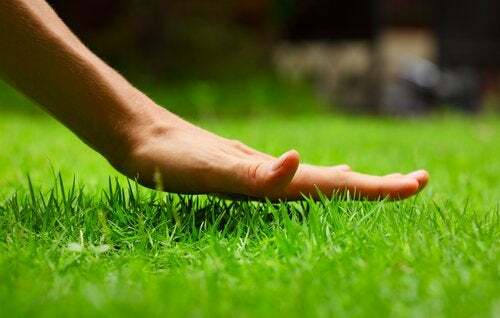 First, walk around your yard and find the problem areas—you may need to aerate your lawn if it’s become compacted, remove thatch that’s blocking water and nutrients from reaching the roots of the grass, or build up low spots with topsoil. This is also the time to prevent summer weeds by putting down pre-emergent herbicides. You don’t have to use toxic chemicals to keep the weeds away—apply corn gluten meal now, before weeds germinate, to stop them in their tracks. Give the corn gluten meal plenty of water to activate it. Don’t seed until at least five or six weeks after you’ve done the corn gluten meal treatment – that natural herbicide prevents weeds from germinating, but it will have the same effect on your grass seed if you seed too early.